The Israeli government has reportedly decided not to forewarn the United States if and when it decides to launch military strikes against Iran’s nuclear energy program. Citing a US intelligence insider, the Associated Press reported on Monday that American officials have been given the message “in a series of private, top-level” meetings with senior Israeli leaders. Tel-Aviv’s decision not to notify Washington about a possible attack on Tehran has been allegedly communicated to US officials by none other than Israeli Prime Minister Benjamin Netanyahu and Minister of Defense Ehud Barak. The US intelligence official, who tipped off the Associated Press anonymously, said that the two men have been relaying the same message to a host of American officials who have visited Israel in the past several weeks. The officials include the US Director of National Intelligence James Clapper, Chairman of the Joint Chiefs of Staff Martin Dempsey, as well as several senior American lawmakers. 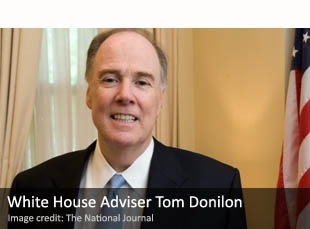 The intelligence source told The Associated Press that Tel Aviv’s decision to keep its cards on Iran close to its chest was solidified following a series of meetings last week between the Israeli leadership and White House National Security Adviser Tom Donilon (pictured). The American official relayed to Netanyahu, Barak and others, the opinion of the White House that a military attack on Iran would be both dangerous and counterproductive. Wednesday, Nov. 2, shortly after announcing the successful test launch from the Palmachim base of a new, intercontinental ballistic missile capable of carrying a nuclear warhead, Israel disclosed in unusual detail a joint Israeli-Italian air exercise ending last Friday, Nov. 29, at Sardinia. Foreign sources identified the ICBM as an upgraded Jericho 3 said able to deliver a 750-kilo nuclear warhead to a distance of 7,000 kilometers – further, if fitted with a smaller warhead. Western intelligence experts estimate that 42 missiles with conventional warheads are enough to seriously disable Iran‘s main nuclear facilities in Natanz, Isfahan and Arak. As for Iran’s newest subterranean Fordo facility near Qom, the US supplied Israel with GBU-28 bunker busters in the third week of September. Six IAF squadrons took part in the joint one-week exercise with Italy consisting of fourteen F-16 F-16 single and twin-seaters from the Ramat David air base, joined by Boeing craft for in-flight refueling of war planes, the Eitam (G550) Air Control early warning aircraft and Hercules transports taking off from the Nevatim air base in the Negev. The Italian air force flew the advanced Eurofighter Typhoon, AMX, Panavia Tornado and F-16s. After the two releases, the Israel Defense Forces announced Wednesday that a large-scale exercise had just begun to prepare central Israel for missile attack. This rush of military activity coincided with speculative reports splashed across Israeli media in the last fortnight that Israeli leaders are in mid-debate over whether or not to launch a pre-emptive attack on Iran’s nuclear sites. Those reports are unfounded, debkafile‘s military sources report. Binyamin Netanyahu‘s inner cabinet of eight is in fact trying to determine the usefulness of abandoning its longstanding policy of nuclear ambiguity at this time. An attack is not on its current agenda. November promises to be an especially critical month. The report on Iran the International Atomic Agency in Vienna is due to publish next Tuesday, Nov. 8 is generally expected to reveal in close detail the advances the Islamic Republic has made toward producing a nuclear weapon. Most of this will not be news to the parties which follow Iran’s progress toward this goal. However, the formal exposure of the scale of this program and Iran’s indictment by the nuclear watchdog is intended to shock world opinion, thereby helping US President Barack Obama to go all the way with really tough sanctions, such as international boycotts of Iranian fuel and the Iranian state bank. Tehran has warned that these sanctions would be deemed an act of war. Western intelligence experts as well debkafile‘s Iran watchers believe that the Iranian leadership will not be content with statements refuting the IAEA report but will opt for a more active response. They suggest Tehran may lift the veil over a section of its nuclear achievements, as though to say: Enough of this nuclear hide-and-seek; we are about to be a nuclear power like just like Israel, India, Pakistan and North Korea. Tehran may also conduct a complete or partial nuclear test, or else exhibit a new ballistic capable of delivering a nuclear warhead. These steps might be designed to give President Obama pause. Because Tehran would calculate that if it has already crossed the nuclear threshold, what would be the point of tough sanctions? At the same time, Tehran has made the necessary preparations for counteracting the impact of drastic penalties with the help of Russia, China and to a lesser extent India. Nearly all Iranian oil deals are now channeled through a Russian-Iranian sales mechanism operating in Moscow and out of American and Western reach. Russian banks are handling Iran’s international financial transactions in currencies other than the US dollar – mostly the Russian ruble and Chinese yuan. However, Iran’s leaders are still weighing their response to the IAEA report and have not yet decided finally how to treat the new sanctions President Obama may have up his sleeve. The tense debates afoot in Washington and Jerusalem over how to handle the volatile scenario ahead have not missed Tehran. This is because Bashar Assad’s continued crackdown on protest with dozens of deaths caused day by day on both sides of the conflict could at any moment galvanize Tehran into radical action in the wake of the nuclear controversy. 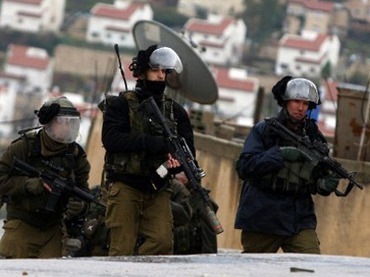 Counter-responses by the West and Israel could light the fuse of a regional war. In these circumstances, a damaging IAEA report on Iran would do more than expose its nuclear misconduct; it could bring the Middle East dangerously close to a regional conflict. In the last two weeks, therefore, Western governments led by the US as well as Israel have been turning over their options for urgent decisions on how to react to potential Iranian aggression. The Israeli media’s portrayal of the debate within the cabinet in Jerusalem as an argument between two ministerial factions for and against attacking Iran is false, designed to assault the judgment of Prime Minister Benjamin Netanyahu and Defense Minister Ehud Barak. It is also seriously detrimental to Israel’s security. In an angry statement Wednesday, Nov. 2, Minister of Intelligence Dan Meridor condemned those reports as irresponsible and more damaging even than the betrayal by the Israeli soldier Anat Kamm of secret military documents to an unauthorized person for which she was given jail time this week. The more publicity given this non-existent debate, he said, the edgier Damascus and Tehran will become and the closer to warlike steps. It also has an undesirable effect on Iran’s nuclear decision-making and the severity of Assad’s campaign of suppression. Military action against Iran, alone or with US support, is therefore not Israel’s current agenda, although an ever-present option.The subject under discussion, debkafile‘s military and intelligence sources stress, is what to do if the nuclear watchdog’s revelations next Tuesday demonstrate that Tehran’s pursuit of a nuclear weapon is too far advanced to stop and a nuclear-armed Iran is therefore close to reality. The cabinet is consequently trying to decide whether the time has come for Israel to come clean on its presumed nuclear capability, or stay silent and back Washington on the imposition of sanctions, knowing that their deterrent value has dropped to nil. Left-wing demonstrators on march from Rabin Square to Tel Aviv Museum of Art call on Netanyahu to accept Obama’s outline for peace talks. Some 5,000 people marched through the streets of Tel Aviv Saturday evening in a demonstration calling for the creation of a Palestinian state. 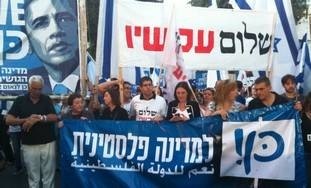 Setting out from the city’s central Rabin Square, protesters affiliated with the Hadash party, Meretz, Peace Now, the Sheikh Jarrah Solidarity Movement and the Geneva Initiative slowly made their way along an unusually long route to the Tel Aviv Museum of Art, where a rally was held. Speakers included MKs from the Meretz, Hadash, Labor and Kadima parties. 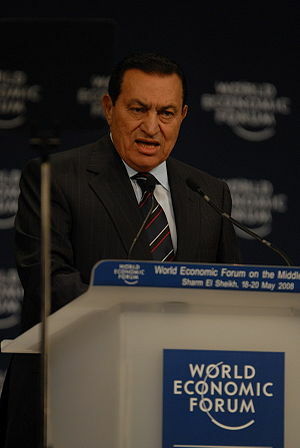 Israel was silent Friday as a week of massive street protests engulfed the streets of Cairo and other Egyptian cities. Neither officials from Prime Minister Benjamin Netanyahu‘s office nor the Israeli foreign ministry offered any public comment on the growing political instability in Israel’s most important regional ally .